Keenlee offers a cutting edge approach to working with interior designers to source high quality art for their interior design projects. 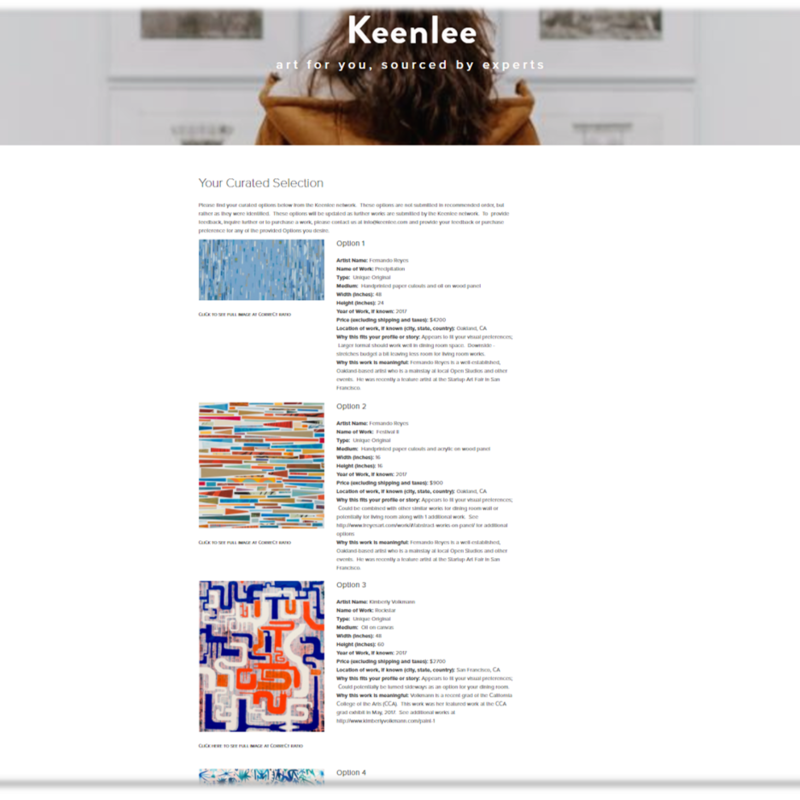 Keenlee offers an innovative new approach to art sourcing for Interior Designers and other clients. We help our clients discover and select personalized, high quality art to help transform living and work spaces into rich, visually stunning environments. Our service is highly flexible – we tailor options based on art style, budget and project requirements, etc. We aren't tied to only a limited set of sources or only local sources, allowing us to find the perfect art for each project. 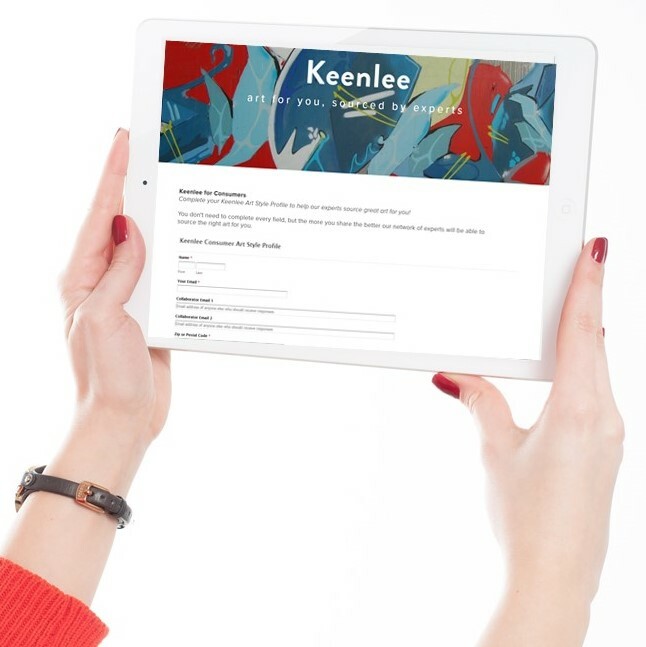 Review your personalized art portfolio online with or without your client. They Buy only what they love. To view a sample portfolio, please contact us. Launch your first project now! It only takes 10 minutes.